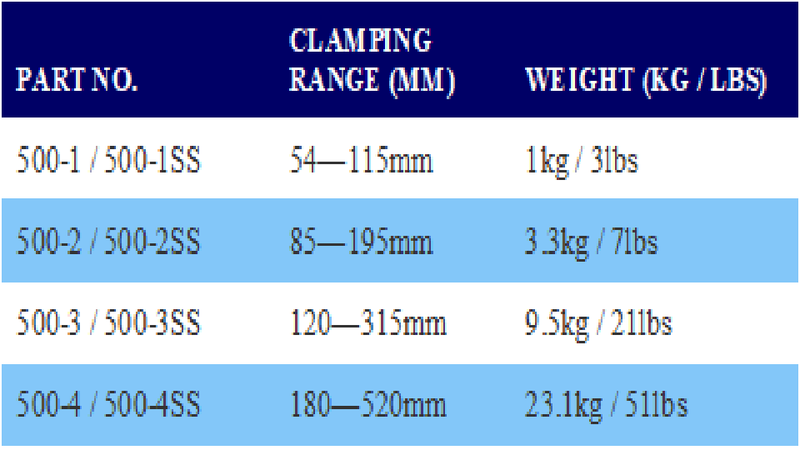 This model with two independent clamps is used for clamping flanges of all kinds and similar parts to elbows and pipe-bends of various diameters from 10mm up to 940mm.. 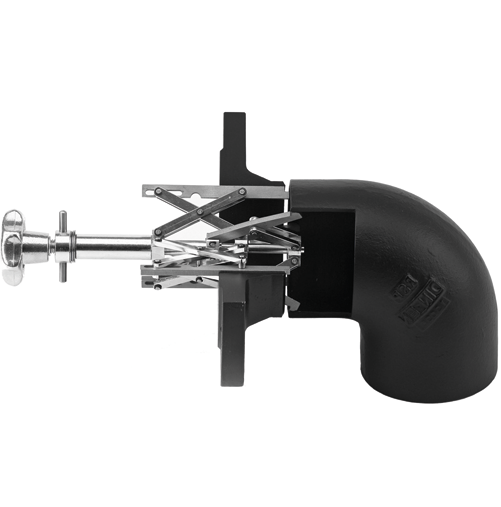 The lower expanding clamp has strong gripping feet which insert into the bend and are tightened by means of the knob. The top expanding clamp is tightened by means of the handbar in the flange.